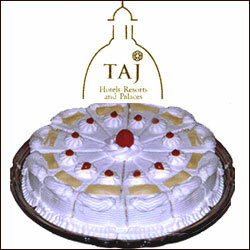 Taj Pineapple Cake 1kg - Each of these cakes are made by the finest chefs in the country. 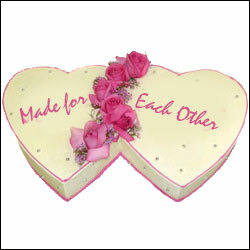 Each cake is hand delivered to your loved one. 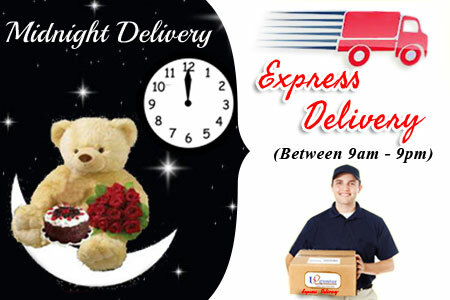 This product requires minimum of 36 hours for delivery . 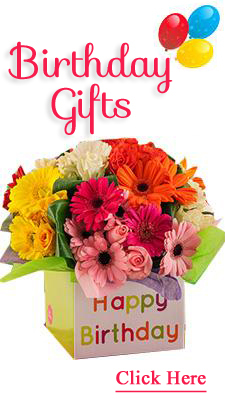 This product available only in Hyderabad, Secunderabad, Bombay, Calcutta, Chennai, Kolkata, Vijayawada, Vizag. *NOT POSSIBLE IN DELHI. Not possible to Deliver on 31st Dec' and 1st Jan'. 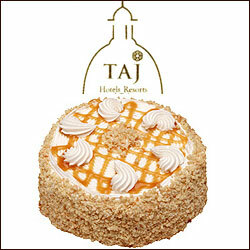 Taj Butterscotch Cake 1kg - Each of these cakes are made by the finest chefs in the country. 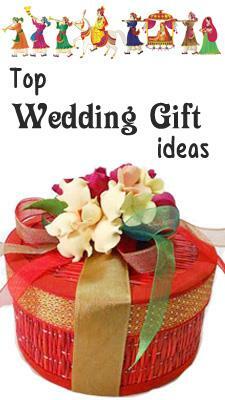 Each cake is hand delivered to your loved one. Note: This product requires minimum of 36 hours for delivery . 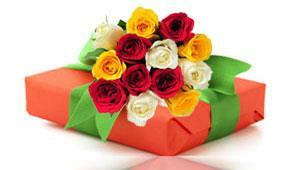 This product available only in Hyderabad, Secunderabad, Bombay, Calcutta, Chennai, Kolkata, Vijayawada, Vizag. *NOT POSSIBLE IN DELHI. Not possible to Deliver on 31st Dec' and 1st Jan'. 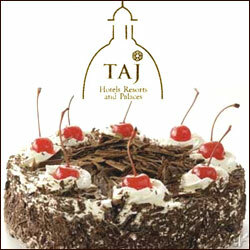 Taj Black Forest Cake 1kg - Each of these cakes are made by the finest chefs in the country. 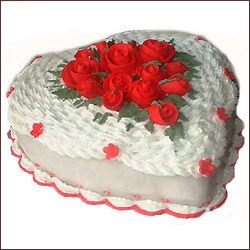 Each cake is hand delivered to your loved one. This product requires minimum of 36 hours for delivery . 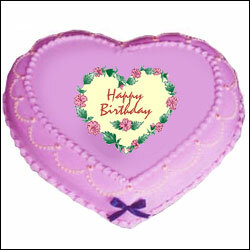 This product available only in Hyderabad, Secunderabad, Bombay, Calcutta, Chennai, Kolkata, Vijayawada, Vizag. *NOT POSSIBLE IN DELHI. Not possible to Deliver on 31st Dec' and 1st Jan'. 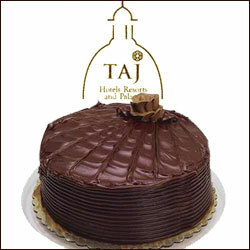 Taj Chocolate Cake 1kg - Each of these cakes are made by the finest chefs in the country. 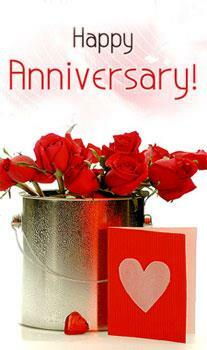 Each cake is hand delivered to your loved one. This product requires minimum of 36 hours for delivery . 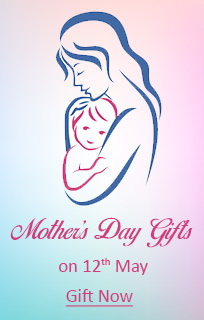 This product available only in Hyderabad, Secunderabad, Bombay, Calcutta, Chennai, Kolkata, Vijayawada, Vizag. *NOT POSSIBLE IN DELHI. Not possible to Deliver on 31st Dec' and 1st Jan'.